Gov. Cuomo’s primary challenger Cynthia Nixon accused the governor of “passing the buck” on fixing the crumbling subway system, after he did not fully embrace his transit chief’s turnaround plan. NYC Transit president Andy Byford released an ambitious turnaround plan this week centered on more quickly replacing signals, which could cost $37 billion. 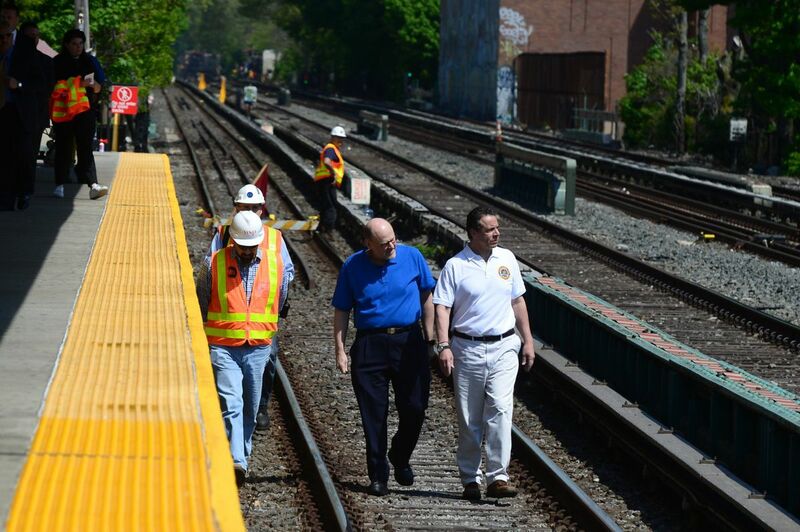 Cuomo, who controls the MTA, gave a lukewarm response to the plan, which he said he had not fully reviewed. After Mayor de Blasio expressed reluctance to give more city money for the plan, instead pushing for a millionaires’ tax, an MTA spokesman released a statement accusing the mayor of declaring the plan dead on arrival. She added she was “not impressed” with MTA chair Joe Lhota’s comment this week that he did not like the idea of a millionaires tax to raise money for the MTA because it would raise his own taxes. “That seems to be how decisions are made in Andrew Cuomo’s New York,” she said. Nixon, who is challenging Cuomo in the Democratic primary, said she would release her own transit plan in the coming weeks. Cuomo’s campaign spokeswoman Abbey Fashouer doubled down on blaming de Blasio, a longtime friend of Nixon’s. “We share Ms. Nixon’s frustration with the delay of much needed subway repairs – she should call her friend the Mayor and ask why he refused to fully fund the subway action plan for nearly a year,” she said. Cuomo’s press secretary Dani Lever said he “looks forward to reviewing the report and supporting the MTA’s new management team in their effort to overhaul and modernize NYC Transit and bring relief to riders.” She did not say when he would review it.